Welcome to Jamie K Outdoor World. We have one of the largest selections of hunting, fishing, and archery supplies in the area. Jamie K's offers a wide variety of sporting good needs. Hunting supplies include guns, ammo, deer corn, seed, fertilizer, and food plots. To catch that big fish you've been after, stop by to see our custom Jamie K rods. These are exclusive to Jamie K's and we have a choice of Clemson, Carolina, and lime green. Live bait, including shad is caught daily and available after hours on most days. Pet supplies include dog and cat food and customized dog collar and tags. Even the best hunting dogs need a personalized dog tag. Come by and see us or give us a call, Jamie Williams has been hunting and fishing his whole life and he can help give you a one of a kind of experience. 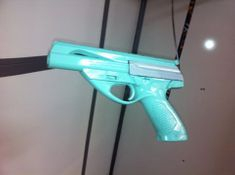 We stock a full line of ammo and long guns, hand guns, and can special order most guns for only a 10% charge. 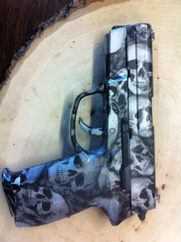 Now offering hydrographic dipping. Also known as camo dipping or hydrodip. Most surfaces can be detailed with a graphic design - hundreds of patterns are available.